1. There’s one well for every 10 people living in Alberta. 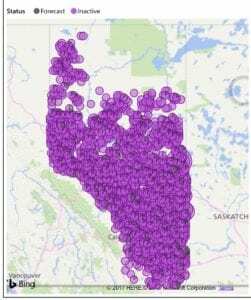 Inactive wells in Alberta, August 2017. Source: Fuzeium Data. Once oil and gas companies are finished actively producing from a well, they are legally required to clean, cap, and “reclaim” them. The problem is, they’re not doing that. As these wells degrade, they leak toxins into the land, air and water. How is that possible? Let’s break it down. 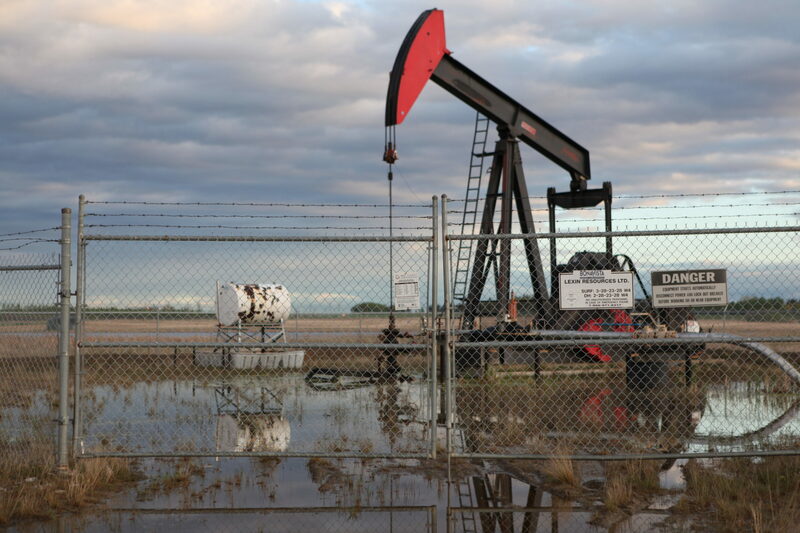 Over 330,000 wells in Alberta either need to be cleaned up right now or in the coming years. “Full cycle” reclamation cost can range from $100,000, up to millions of dollars for a really difficult well. When you do the math, cleaning up Alberta’s oil and gas wells could cost up to a hundred billion dollars. And here’s where things get really scary. 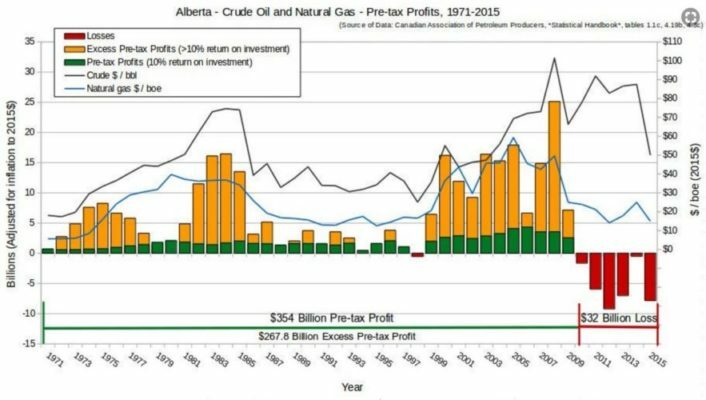 When you put the full cost cleanup liabilities onto the books, the vast majority of Alberta’s oil and gas companies are already insolvent — and have been for some time. In Alberta, conventional oil and gas companies have been staving off bankruptcy by taking on massive debts, and running a $32 billion deficit from 2009-15. This reckless approach to business is only possible because of the Alberta government’s lax approach to industry regulation. Alberta: Crude Oil & Natural Gas. Pre-tax Profits, 1971-2005. Source: Canadian Association of Petroleum Producers. Brent Nimeck and Regan Boychuk stand in front of an abandoned well, 2017. What if we could make sure the industry pays its cleanup bill now — AND put tens of thousands back to work in the process? 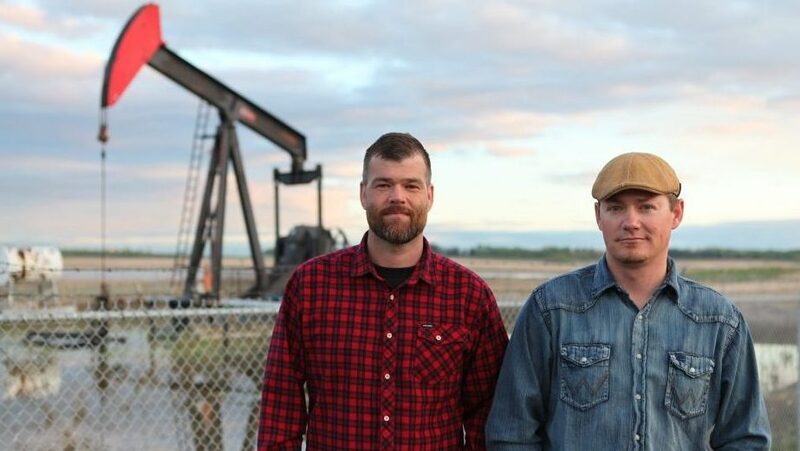 Brent Nimeck and Regan Boychuk are Albertans who have been working in and researching the province’s oil and gas industries for decades. They’ve come up with an innovative way to fix the problem of reclaiming these old wells before the industry walks away from them. The plan is called RAFT: Reclaiming Alberta’s Future Today. So let’s get to work. Sign our petition to hold oil and gas companies accountable.